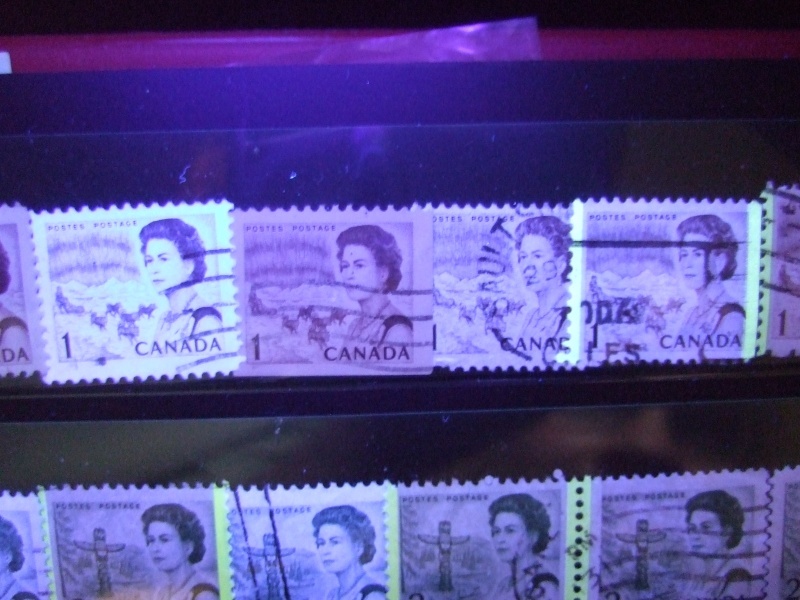 This is a study of the Canadian Centennial Issue and can be challenging to say the least, here is my collection so far . The collection has hundreds of varieties. 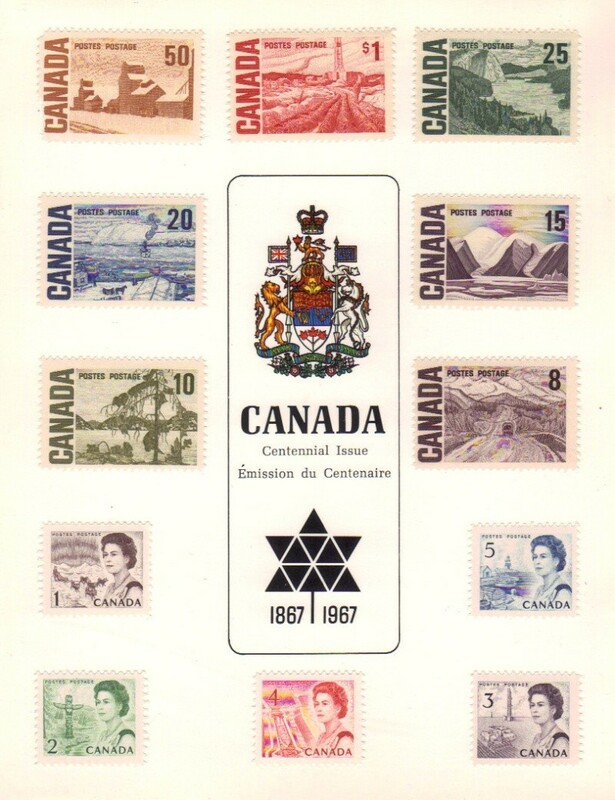 A centennial Definitive so called as they were issued in 1967, Canada's Centennial year ,have turned out to be the most complex modern-era definitive series. Actually they are only as complex as you make them to be. 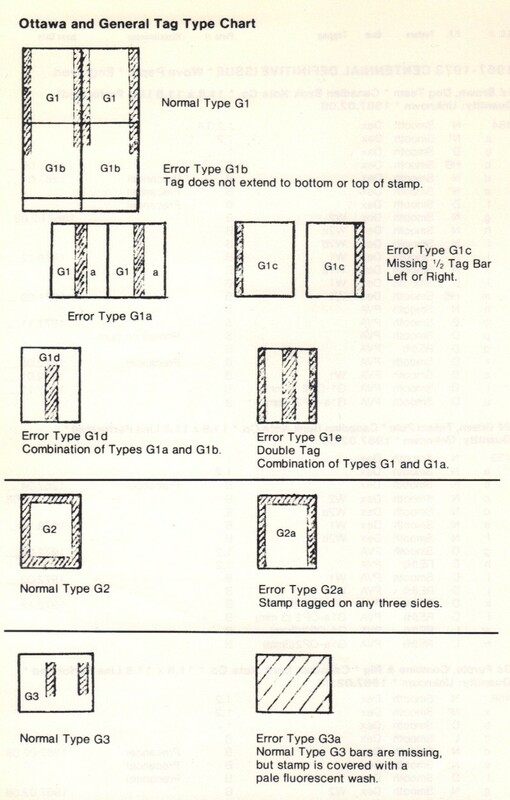 If you collect by design, format, perforation, and tagging , then they are a relatively simple set to collect. However ,if you also include the various gum and fluorescent varieties, then the series becomes complex. 18 basic designs/values were issued. 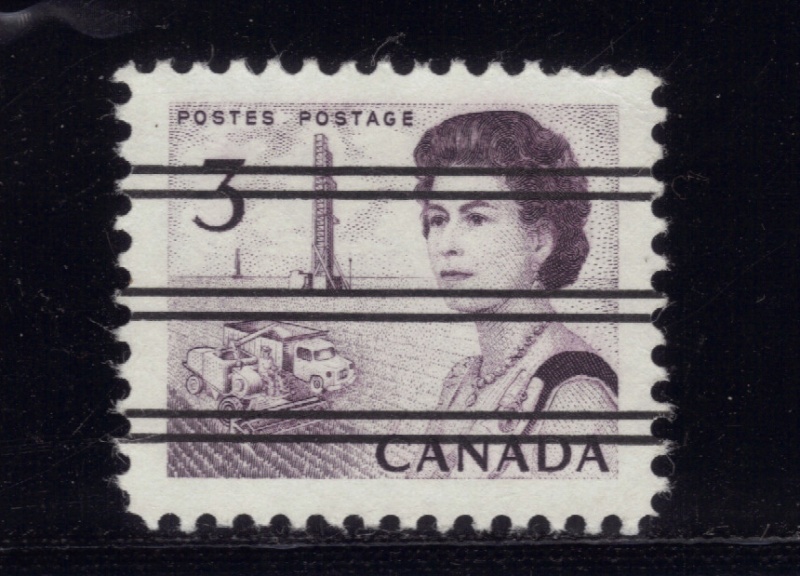 As you add the various printing formats (sheets,precancel, booklet, cello-paq, and coils), perforation changes, tagging styles (not tagged, 3 type of Winnipeg tagging 2 bar,centre,left/right, and 2 types of general tagging-0P4 and 0P2) and fluorescence, then the number of collectible varieties grows almost exponentially. 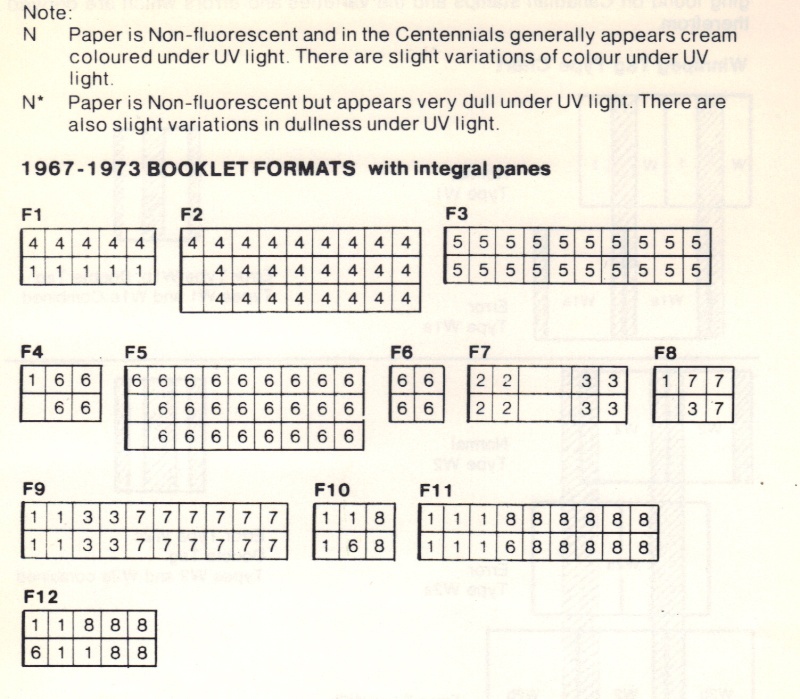 The low values (1-8c) were printed in panes of 100; the medium/high values (8-$1)in panes of 50: many of the values appeared in booklet; 7 of the values were also issued in coils. 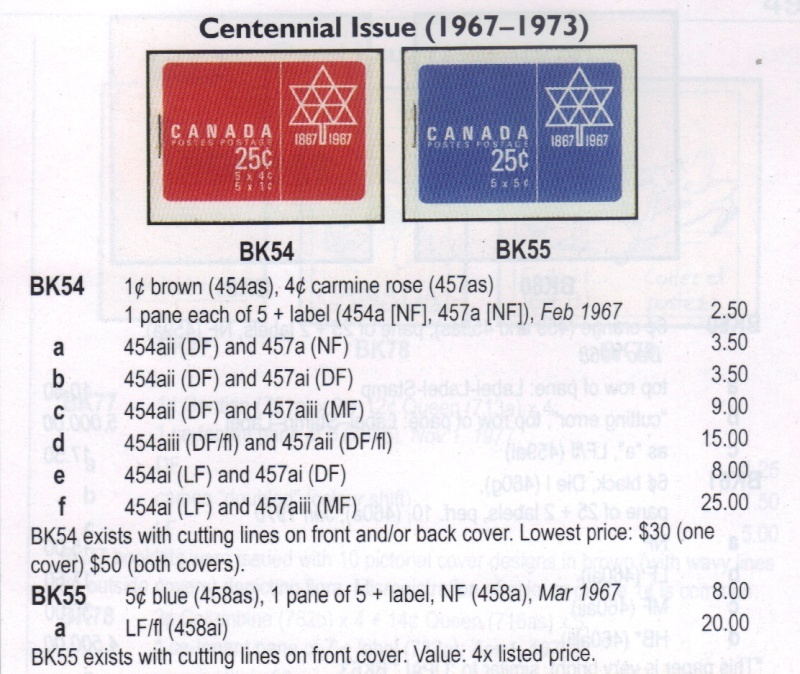 Printer/Quantity: Canadian Bank Note Company, Limited. British American Bank note company. 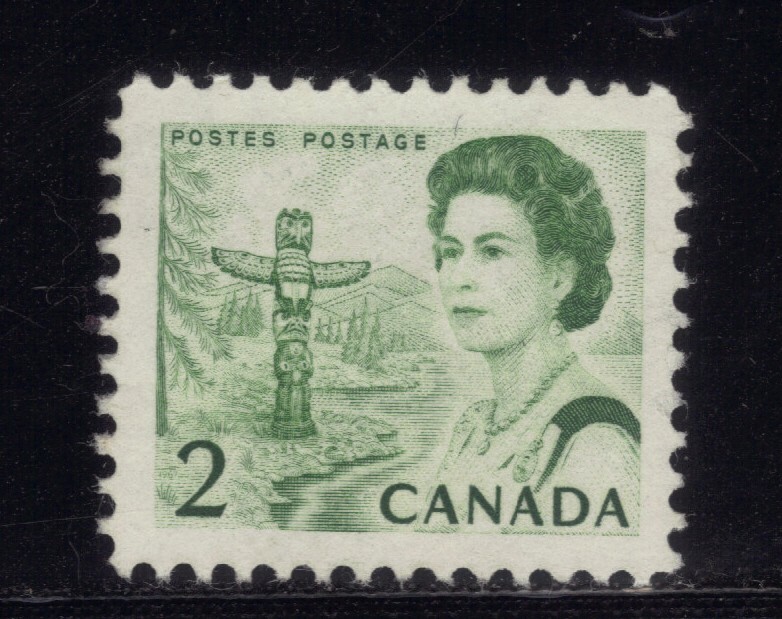 Historical Notice: A new portrait of Her Majesty Queen Elizabeth is featured in the design of the 1¢ issue. Accompanying view respectively depicts the Northern Regions. 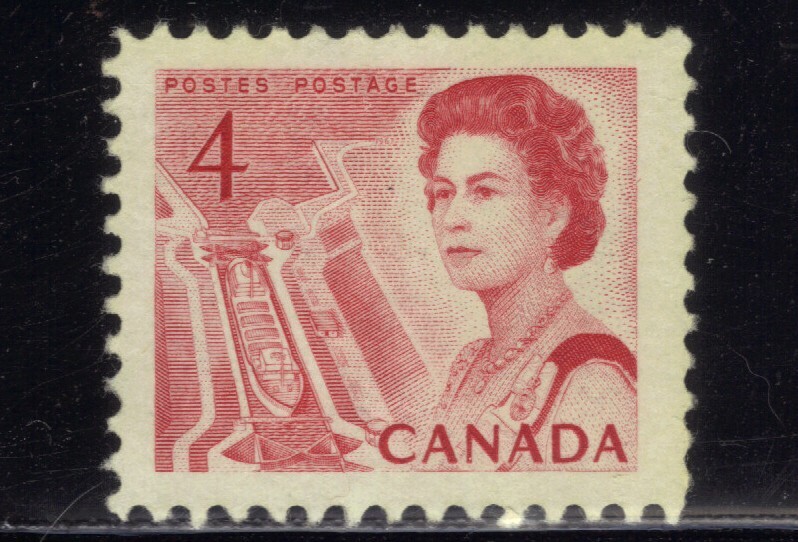 This is a colour variant i found on the same stamp, one is the dark brown scott number 454 with a perf of 12 by the Canadian Bank note Company with Dextrine, a shiny yellowish gum, from a booklet, the other lighter brown Unitrade number 454b is a perf 10 by the British American bank note Company also with Dextrine , a shiny yellowish Gum from a sheet. 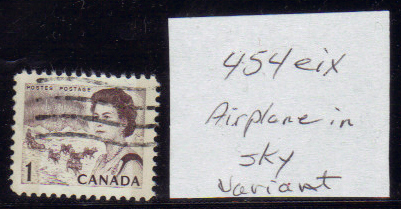 Next is a Airplane in the sky variety found on the perf 12.5 X 12.0 British American Bank note Company the Unitrade number is 454 eix. If you look just above the mountain line you will see the tiny shape plane. Next picture shows the type of OP2 tagging in phosphorous shown with a black light, plus Hibrite paper and Fluorescence paper . 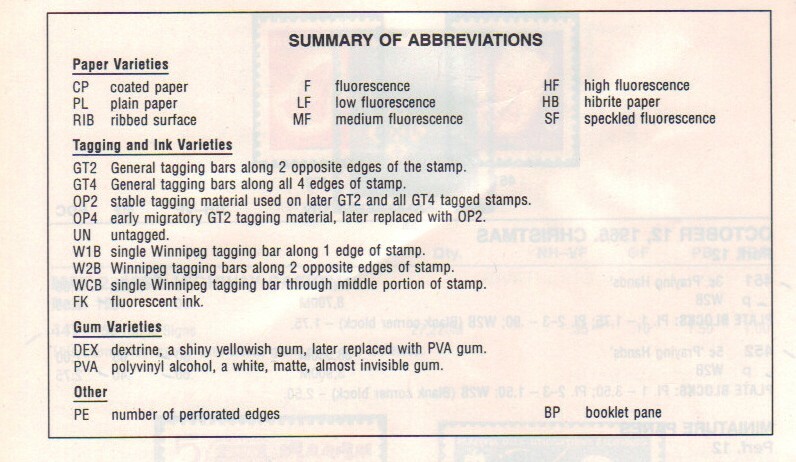 Next is a page to show the Summary of Abbreviations which believe me is something one will be using alot with this stamps. 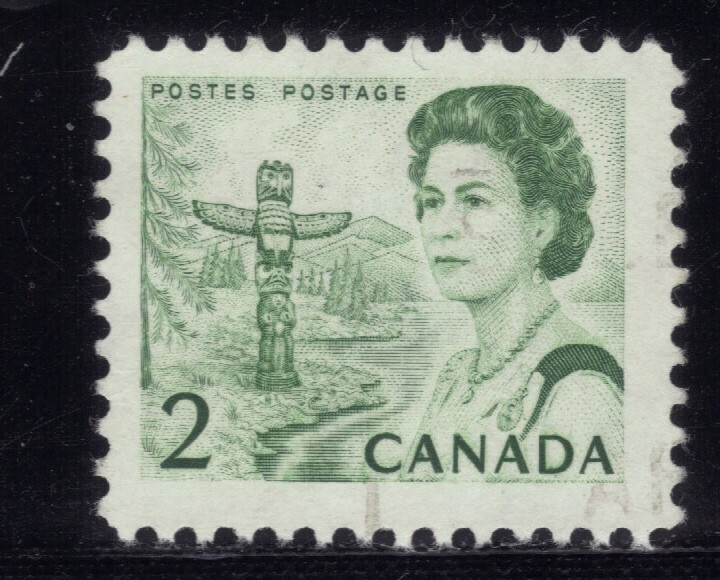 A new portrait of Her Majesty Queen Elizabeth is featured on the design of the 2¢ issue. Accompanying view respectively depicts the Pacific Coast. 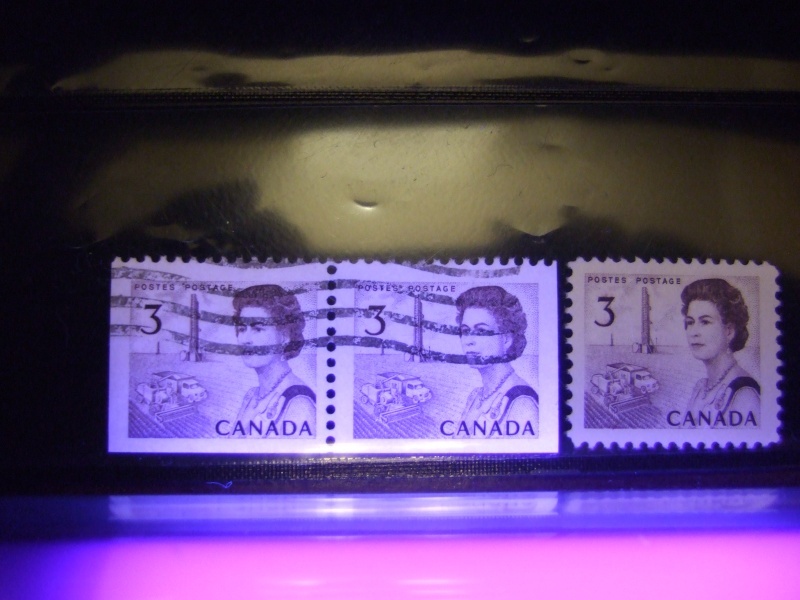 Next is a slight colour variant, the first is a scott number 455 and Unitrade number 455a booklet stamp with hi-brite paper, Canadian Bank note company with dextrine a shiny yellowish gum. and the other is a scott number 455 from a sheet with OP2 tagging and Dextrine a shiny yellowish gum. 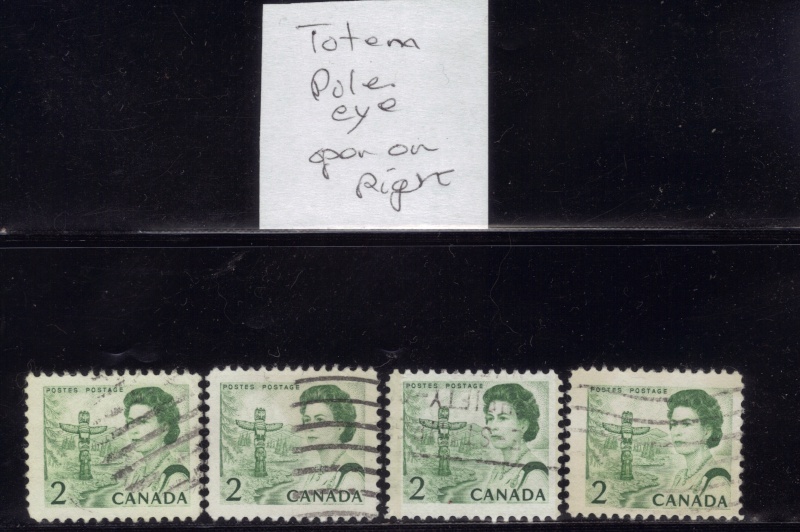 next is a blinky variant with the right side eye open these stamps are known as blinky and winky as the left or right side eyes on the totem pole at top are open. next is the totem pole with both eyes open and one with both eyes closed. 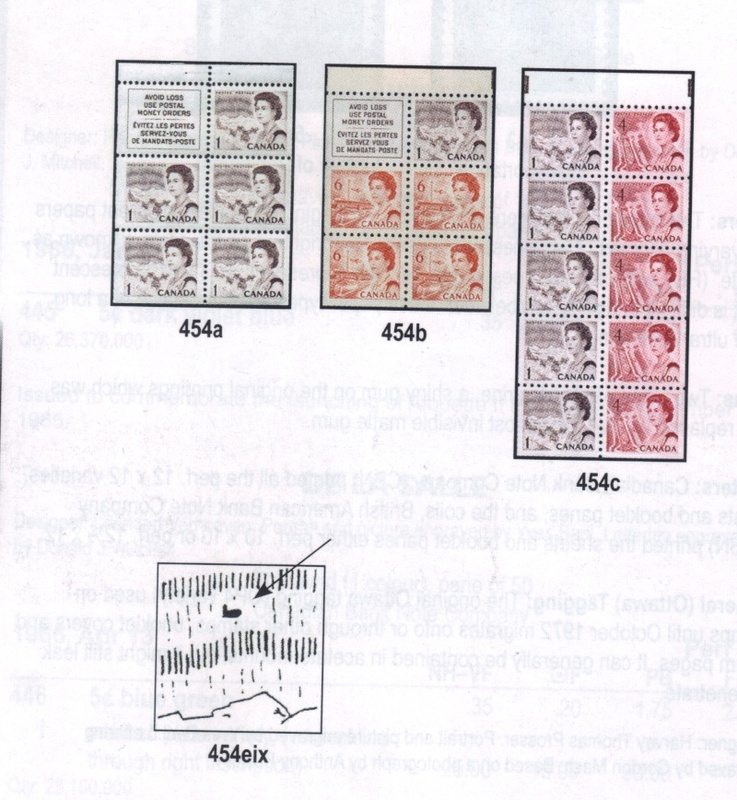 this is a clip from the Unitrade Catalouge to show the many varieties of this stamp. 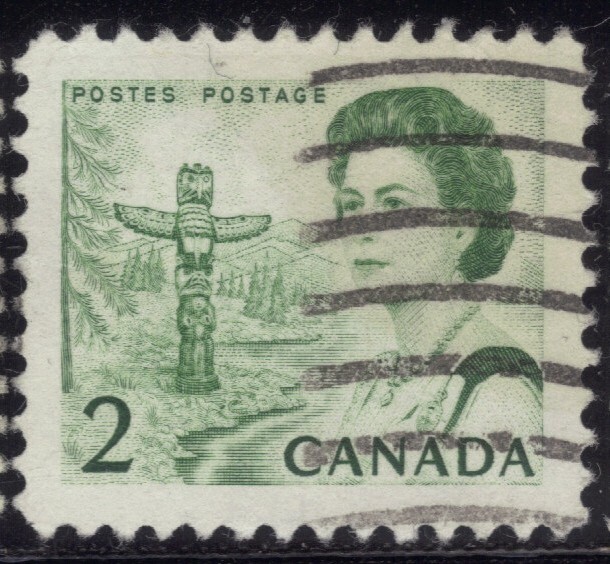 Next is a scan of the 2 cent Totem Pole under a black light showing the Hi-brite paper and Low fluorescence paper and OP2 tagging.the tagging is a yellow phosphorous colour. 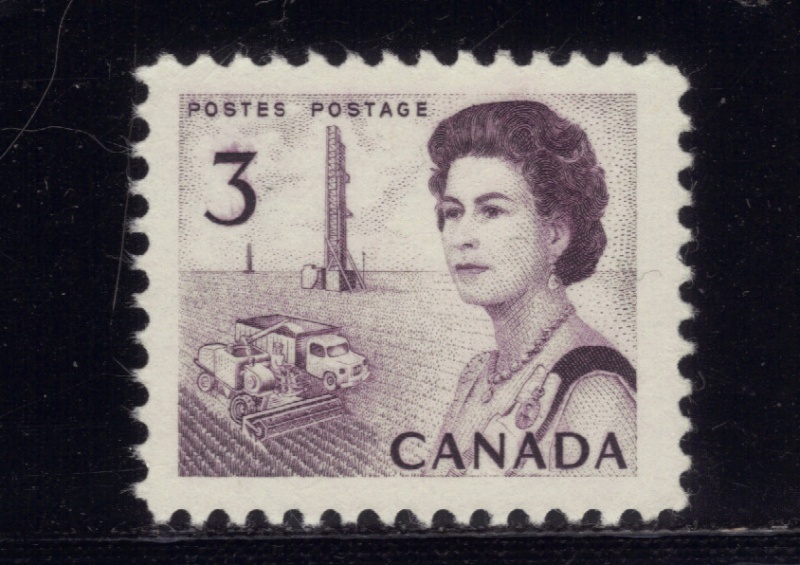 Historical Notice:a new portrait of Her Majesty Queen Elizabeth is featured in the design of the 3¢ issue. Accompanying view respectively depicts a Prairie Scene. Next is a colour variant , the first is a booklet stamp scott number 456 ,unitrade number 456x, perf 12. with Glazed Hi-brite and PVA gum (polyvinyl alcohol,a white, matte, almost invisible gum) , the other is a sheet stamp scott number 456 with a perf 12 with Dextrine , a shiny yellowish gum ,later replaced with PVA gum. 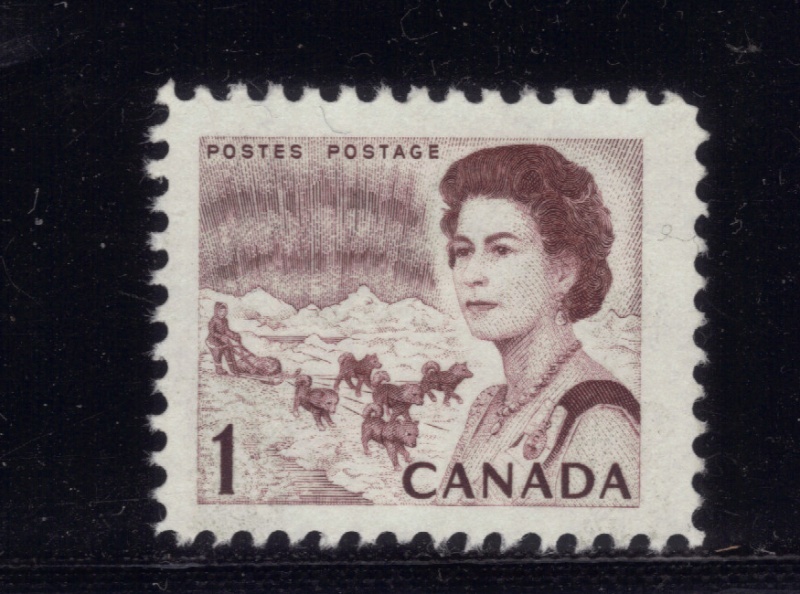 Note the run of ink in color on the 3 of the sheet stamp. 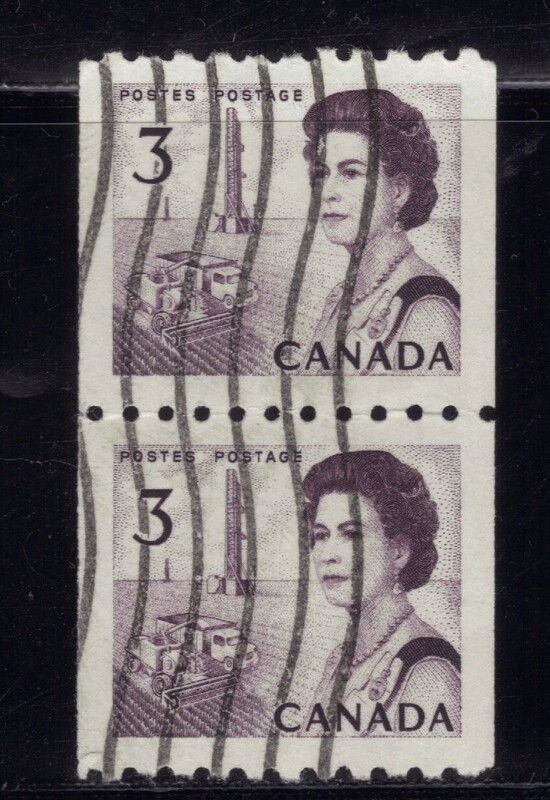 next is the coil pair stamps scott number 466 with a perf of 9.5 horizontal and Untagged with Dextrine gum. Next is a booklet pair from the British American bank note company. in dull purple, on Hi-Brite paper, unitrade number 456a, with dextrine gum. 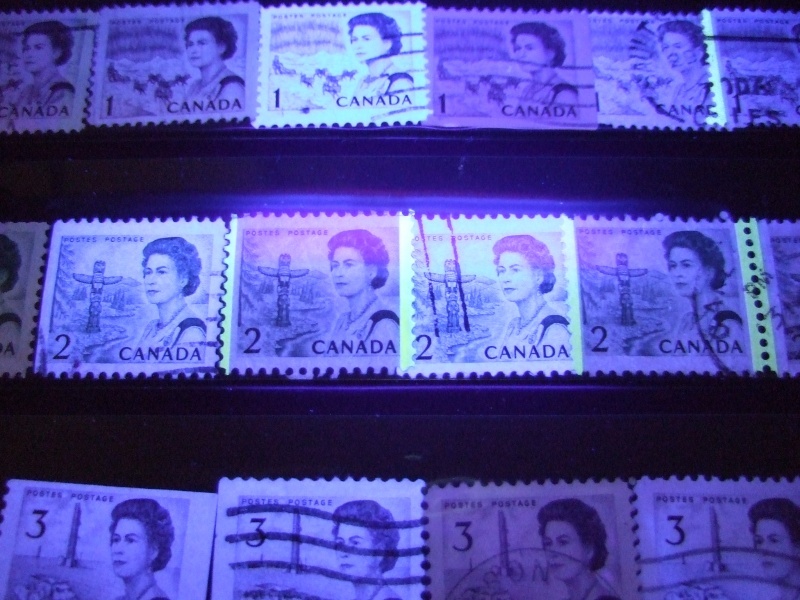 This is the black light scan showing the hi-brite paper. 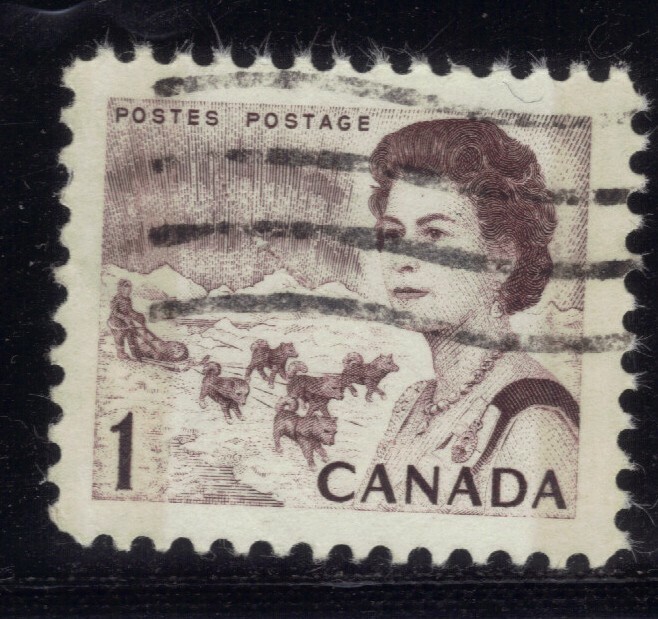 Next is the precancel stamp,from the Canadian Bank note company unitrade number 456xx, with dull fluorescence dextrine gum. Next is a chart showing the tagging system. 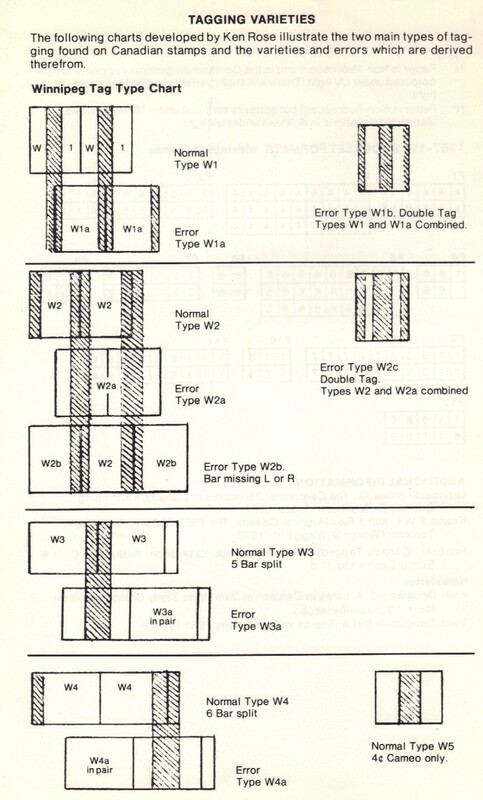 ext is a chart showing the booklet types. Next is a slight colour variant , the first stamp is a booklet stamp Unitrade number 457c ,with a perf of 10, and low fluorescence with dextrine gum.the other stamp is a sheet stamp unitrade number 457b ,with a perf 12. and dull fluorescence paper ,with dextrine gum.